Below you can see the whole build unfold through a two day time lapse. Photos of the building progress show how the elements fit together vie prefabricated slots CNC routed into each element. Once in position pieces are then hammered together and secured via wedge joints. The CNC routed elements have arrived. It time to see what we can build off site and test all the joints to make sure it will stand up! Progress updates showing the development of our competition proposal. 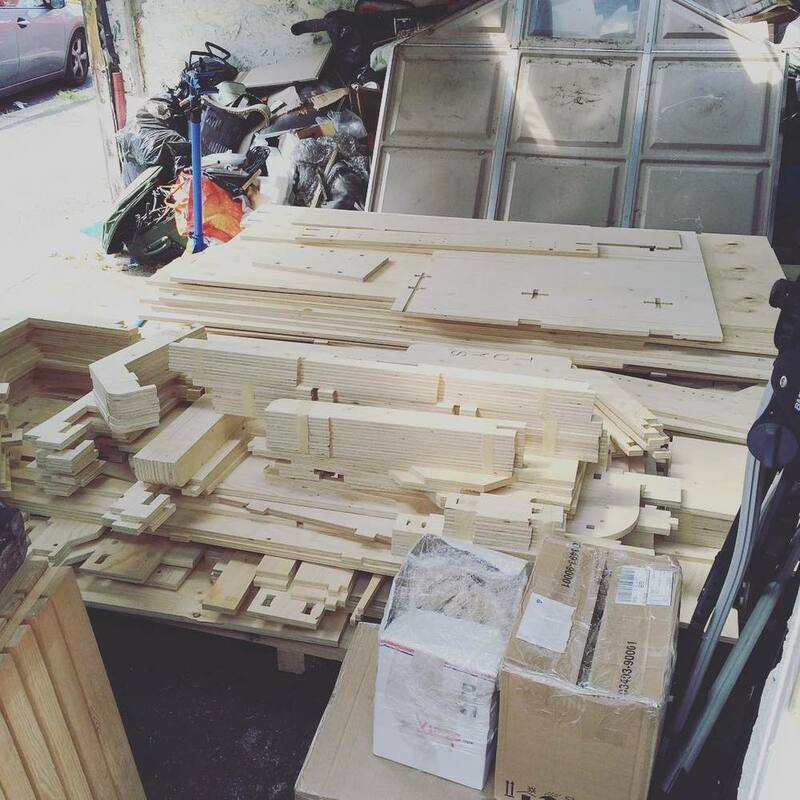 The design will develop more as we collaborate with our CNC manufacturer.